Rapidly expanding Aptus Court Reporting added two additional Directors of Business Development to their San Francisco team this week in conjunction with relocating the downtown office within the Financial District. "...what you will find is a team of enthusiastic, knowledgeable, detail-oriented, responsive, and service-minded individuals." Aptus Court Reporting, a leading provider of court reporting, videography and legal technology services, has added two new members to its San Francisco Bay Area team: Brook Braunschweig and Danielle Belonio. Brook Braunschweig, who touts a decade of legal industry sales experience, will join Aptus’ San Francisco Bay Area team as a Director of Business Development. Prior to joining Aptus, Braunschweig worked at DTI as Director of Sales and Business Development for its Bay Area market. Before that, she focused on developing and maintaining long-standing client relationships as an Account Executive with Merrill Corporation. Also joining the company as Director of Business Development for the Bay Area market is Danielle Belonio. With 11 years of experience in sales and three of those years focused on legal services, Belonio brings a substantial skillset to the Aptus team. In her prior position, Belonio served as an Account Executive with legal processing outsourcing company DTI LLC. Prior to that, she served as an Account Executive with business solutions provider Merrill Corporation focusing on applying the company’s services to applications in the legal industry. “The Aptus culture is transparent. What you see is what you get and what you will find is a team of enthusiastic, knowledgeable, detail-oriented, responsive, and service-minded individuals. I couldn't ask for more. I am thrilled to be a part of the Aptus team and to expand our culture in the Bay Area,” says Belonio. Braunschweig and Belonio will join Aptus’ current San Francisco Bay Area representatives Danette Rugg and Kaitlyn Shelly, who have over two decades of combined sales experience in the court reporting industry. 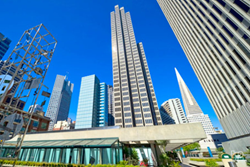 In addition to building out its sales team, Aptus has relocated its Bay Area office to One Embarcadero Center, Suite 1060 in San Francisco, CA. In March 2016, the company announced the launch of a new office serving the Greater Los Angeles market along with the addition of Lori Cheyne as the Director of Business Development for the region. Aptus CR serves numerous markets throughout California including San Diego, Orange County, Los Angeles, San Francisco and Sacramento. “We are thrilled to add the talent of Danielle and Brook to our growing Bay Area market. The addition of these two industry savvy individuals and the transition into our new office in San Francisco positions us extremely well to continue our business growth and expansion of the Aptus brand throughout California and beyond,” says Sandy Waite, Aptus’ Chief Operating Officer. Aptus Court Reporting is a full-service court reporting firm headquartered in San Diego, CA. The company provides decades of combined experience in the court reporting industry and offers videography, transcription, and trial support among its list of services. Its company focus is “connecting testimony and technology” for clients internationally. With over 35 years of combined experience in the litigation support business, Aptus provides a one-stop solution for your deposition and trial needs. For more information about Aptus Court reporting, please visit http://www.aptuscr.com.